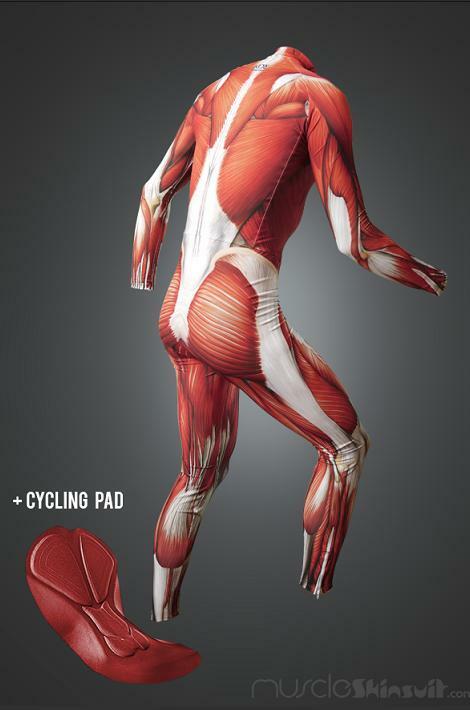 This Muscle Skinsuit I bought on the www.muscleskinsuit.com website in 2013. Here it was given this description to the picture to the site: Cycling apparel of the highest quality for professionals and amateurs alike. Made from Italian fabric renowned for good elasticity and supreme comfort it is a great value skin suit that is devoted to Road, Cross-country cycling and Cyclocross.